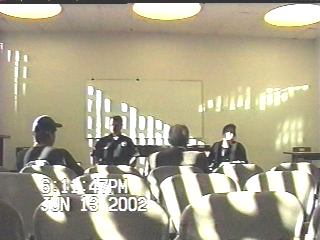 Subsequent to the IDEPSCA (Institute of Popular Education of Southern California) Advisory Board Meeting of June 13, 2002 at the District 11 WLA City Council facility, where, after I started to televise [video record] the event, was told by you that it was forbidden and I was given the ultimatum of ceasing the televising or you would stop the meeting, I attempted to contact the City Attorney's office to find out if you were violating my rights. The buck was passed from one city attorney's department to another, each singing the mantra that they weren't allowed to give legal advise. I insisted that I did not want legal advise, only to know if what I was doing was illegal. I was told to get my own attorney. Not very cooperative! So I went to the city's web site where there I found the law pertaining to the California Open Meeting Law, or The Brown Act. Under the "What Bodies Are Covered by the Act?" paragraph (see attachment) it clearly includes an "Advisory" body that exists as a result of the action of another legislative body (The City Council). I'm not a lawyer, but it appears that you were violating my right to record the event of a tax payer funded public meeting. By way of this email, you are advised that at the next meeting, I will video record the entire event unless, I receive a call from the city attorney who can explain to me why I can't. Mr. Netkin, thank you for your e-mail. As I stated at the last hearing and every meeting prior to that meeting that you have attended and tried to record without permission, the Day Labor Advisory Group meetings are not subject to the Brown Act. The Advisory Group is a body that was created by Councilwoman Miscikowski as an advisory board only. It is advisory only to the Councilwoman, not to any other person or group, and is purely discretionary. The Councilwoman can decide at any time to change the way the Group is organized or to cease its meetings altogether if she chooses. The Group has never operated in any way according to the Brown Act and there are no plans to do so. The Group was created to ensure that the community surrounding the hiring center had an active role in helping to create a positive, healthy environment and to maintain a healthy dialogue with the Center's operators. This group is unique to Council District Eleven's West LA hiring site. As City Attorney Gail Weingart has informed me, due to the fact that this body was created at the discretion of the Councilwoman and not by an act of Council, legislation or City Charter, the meetings of this committee are NOT subject to the Brown Act and the committee does not have to permit audio- or video-taping of the meetings. Thus, at the next meeting which you may choose to attend, if you do not have permission of the members of the committee to tape the proceedings in any way, you may not do so. I hope I have expressed the City Attorney's statement clearly and effectively, and that you have taken these statements to heart. Thanks for your explanation. However, I interpret the meaning of what "Bodies Are Covered by the Brown Act" to mean any Body formed by a legislative body such as the City Council. According to the Los Angeles' Community Development Department, they fund six hiring centers with public money, run by two non profit corporations, IDEPSCA (Institute of Popular Education of Southern California) and CHIRLA (Coalition for Human Immigrants' Rights of Los Angeles), at $165,000 / year / each -- nearly a whopping one million dollars a year. Such funding had to be approved by the entire council -- not just Councilwoman Miscikowski. If the WLA Job Center is the only one having public meetings on how the city is spending the public's money, then it would seem that the Council is illegally hiding the hiring centers' activity from the public. 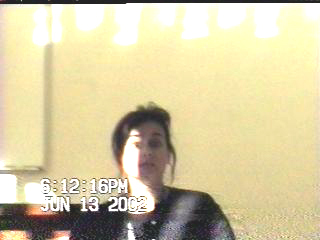 Although I ceased video recording at the last meeting on June 13, 2002, I did take notes as I have done at the three previous meetings I have attended. In a telephone conversation with one of One Stop's administrators, Jay Yambo, I was told that all day laborers who registered with them, had to have a valid social security number and had to provide an employment history which was verified along with a reference check with the former employers. Contractors who hire day workers, must have insurance. In the March 14, 2002 meeting, you had a guest speaker, Richard Briggs, of the construction industry, present a plan that would get more work for the day laborers. As articulated by Briggs, his plan openly encouraged contractors to hire undocumented workers citing the advantage of cheap labor and that there was no need for the contractors to pay salary taxes or carry insurance. While Briggs promised that his plan would be beneficial to contractors and undocumented day laborers, his plan made no mention or was concerned with legal American workers. In a private conversation I had with briggs as we were later walking to our cars, he felt that contractors who hire "undocumented" day laborers were helping them because they were better off than they were in their own country. I reminded him that slave owners in the South used to say the same thing to justify their exploitation of their slaves. The flyer that the center puts out offers "No Job too big or too small -- experienced Labor, Local, Efficient, & responsible." This misleading advertising is baseless, since, as Mr. Briggs said, "the laborers are so eager and, in some cases, desperate for work, when they are asked if they have experience in a certain area, they will invariable say yes, whether they do or not." The flyers, which are distributed on car windshields, leaves the impression that the day labor center is a licensed contractors. Although Cindy Miscikowski and you claim that the council is a neutral body that just provides the facility, you don't make the proper disclosures to the public. You do not advise the community and your constituents that contractors may not be California State licensed and are free to hire day laborers without proving that they have insurance to cover injuries of their workers. You don't advise home owners in your district that if a day laborer is injured while working on their property, they would be liable and could be sued. It is no wonder that conniving contractors do not hire legal workers from One Stop Operation? Why should they when Councilwoman Miscikowski and you make it easy for them to cheat and break the law for profit. By pretending that the council has nothing to do with the negotiations between contractors and workers, Councilwoman Miscikowski and you are really advocating the improper role of city government in supporting and sanctioning a center for the purpose of allowing illegal hiring practices. The public would be outraged if they knew what was going on with the WLA Job Center. It is no wonder that you don't want the Advisory Meetings recorded. At the last meeting, when I asked how the registrations on the "Current Status" report were tabulated, the center's dispatcher, Dulce, said that the workers must fill out a registration form. When I asked if I could obtain one of those forms, Dulce voluntarily gave me her work phone number and said that if I would call her, she would fax one to me. I phoned Dulce on Tuesday, June 18, 2002. and asked that she fax the blank form to me. She told me that she couldn't fax it without her supervisor's permission. All my explanations failed to convince Dulce that she didn't need her supervisor's permission to fax a blank standard form that should be available to anyone in the public, so I asked for the phone number of her supervisor, Carlos Presa. I immediately phoned Mr. Presa and asked for the form. He outrightly refused to fax it to me on the grounds that it was private information. I explained that a blank form from a publicly funded organization is not private. He disagreed still refusing to fax it to me. Then I called you and asked if you could convince Presa to fax the form to me. In your usual unhelpful manner, you passed the buck to Jack Lau, an analyst for the Community Development Department. Jack Lau agreed that I was entitled to receive a blank form. He told me that he would phone Presa and have him fax a form to him and he would in turn fax it to me. I asked if it could be done right away, but Jack Lau said that Presa was busy and couldn't do it until the next day. After two days had passed with no fax, I phoned Jack Lau and again asked for the blank form, but added that I wanted the form in both English and Spanish. It was Thursday, June 20, 2002, but Jack Lau was confused thinking that I had only called the day before. When I straightened him out as to what day I was supposed to have received the fax, he said he would get right on it and call me back in an hour or two. He called when he said he would, but said that Presa couldn't send the form because he didn't have one, so it would have to come from the WLA Job Center itself -- but wouldn't you know It! -- Jack told me that he was told that the WLA's fax machine wasn't working, but said he could send me a Spanish copy of the form that the Hollywood job center uses, which he said was exactly like the WLA form. Jack Lau sent the Hollywood form as promised, but all the stalling aroused my suspicion that there was an intentional effort to hide the truth. So I phoned the WLA Job Center. The phone was answered by Jose who was unaware of my investigation. I told him that I wanted to send a fax to him to see if my fax machine was working properly. He agreed, so I sent a test fax that he confirmed was received OK.
At this point, I became even more suspicious that there was indeed a conspiracy to avoid the truth. I called Jack Lau and told him that I had sent a fax to the WLA center and it got there just fine. Jack then said that he was told that the WLA Center's fax machine receives, but doesn't send. It sounded fishy to me, so I again called Jose and asked if this time, he would fax a test page to me. He did, and I received the fax without any proplems. Apart from a streak down the right side, It worked just fine. Although I believe that Jack Lau is not intentionally hiding information, I believe he naively believes anything IDEPSCA management tells him -- there is no accountability at all! I could only conclude that the WLA Center's management doesn't even have any blank forms on hand and probably doesn't bother having the workers fill out registration applications or any kind of information. Apparently, the folks that run the center conjure up arbitrary figures on how many workers actually registered. The form indicates that the information entered is strictly confidential for internal use and will not be shared with any other governmental agency. It turns out that Senior Police Lead Officer Phillip Enbody who represents the LAPD at the meetings, isn't even privy to any present or background information on any of the workers. His presence at meetings appears to be only symbolic. According to Dulce, the information would be available to Officer Enbody if he needed it, but there is a Catch 22. Other than Dulce's word, there is no way of verifying ANY information on any workers -- there is no proof that such information even exists. I called Jack Lau and left a message on his voice mail saying that the center's fax worked just fine on "send," and that I wanted the WLA center to send me both an English and Spanish copy of the form "NOW!" About two hours passed when Jack Lau called to tell me that I would get the forms I wanted, but they would be sent the following day (Friday, June 21, 2002). When I asked him why the forms could not have already been sent, he said that it was near the end of the day (Thursday, June 20, 2002) and everyone at the center was going home. I asked Jack what time the center closes, and he said at 2:30 pm (it was 2:45 at that moment). So I called the center to see if Jack was humoring me some more. The recording said that they close at 3:00 pm, but nevertheless, no one answered. So I waited one more day. On Friday, June 21, 2002, I received one Spanish version form which was a re-transmittal from the WLA Job Center to Jack Lau and then to me (Jack Lau didn't know why nor did he care why Presa refused to have the WLA Job Center fax the forms directly to me), but I did not receive the English version. Jack Lau's fax cover page had a note explaining that the English version would be sent on Monday, leaving me with little doubt that the center did not have an English form on hand. I called Jack and mentioned to him that it appeared that the WLA Center discriminates against English speaking American workers. He denied it. In the last three meetings I attended, I pointed out that the day labor center appeared to be a tax payer funded instrument which illegally aids, abets, and harbors illegal aliens. To that you answer with the mantra that the center was established for the purpose of getting day laborers off of the street for the sake of community safety -- and that the city did not concern itself with agreements or negotiations between Contractors and Day Laborers. But you contradict yourself when don't deny that the center's officials do get involved when laborers have complaints against contractors. Following a previous meeting, I and two witnesses, interviewed a Black American day laborer who worked at the WLA Job Center. He earlier claimed at the meeting that he was being discriminated against by the dispatcher, complaining that the Latino workers were given work ahead of him even though he had been waiting longer for a job. I asked him why he didn't get legitimate work at One Stop instead of working at the WLA Center. He said that he quit a regular job because his wages were being garnished for money he owed for child support, and knew that, unlike One Stop, the WLA Job Center didn't require a social security number, any ID, nor any background check -- he knew that he would not have tax deductions and would not be traceable by his estranged wife. It became apparent that not only was the WLA Job Center a made-to-order sanctuary for dead-beat dads, but by the same logic, it is not far fetched to believe that anyone who could learn to fly an airliner into a high-rise, could also penetrate any of L.A.'s public institutions such as the WLA Job Center by posing as an illegal immigrant day laborer. You are not a lawyer, nor am I. Thus, your allegation that it is illegal to video record IDEPSCA Advisory Meetings based on what the city attorney told you, is to me, second party hearsay. I am still planning to televise the entire next meeting unless I hear directly from the city attorney, that it is illegal. I can be reached at 818-989-3043. If the city attorney does agree to phone me to explain why I can't record the next meeting, he/she should also be prepared to advise me as to how to launch a State audit and investigation of your office to determine the legality of the city's involvement in hiring centers for the undocumented and whether the Community Development Department is misappropriating tax payer money under Cindy Miscikowski's and your auspices. June 13, 2002. Headed by Debbie Dyner and LAPD represented by Officer Enbody. Attendance is low. This is because Councilwoman Miscikowski does not reach out to her constituents to let them know of these meetings. Debbie Dyner won't answer to the people. District 11 City Council Meeting-- Cindy Miscikowski and Chief Field Deputy Debbie Dyner want to hide illegal activity from public. The L.A. City Council is involved in the improper role of city government in supporting and sanctioning illegal hiring halls for undocumented day laborers while ignoring the needs of American workers.